– Despite the crap in the world, there is a whole lot of good out there. People who care, people who support, people who share. I saw selflessness and kindness from strangers – from the chicken sandwich from two women at the bottom of Polly Shortts, to the runner who gently eased me to one side as a motorbike approached from the front. – The mind is bloody strong. Don’t ever underestimate it. Even when you feel like quitting or feel there’s something you can’t do, you probably can. – Pepsi isn’t so bad. Just when you think the “underdog” won’t win, or that bigger is better, it sometimes isn’t the case. – Tweeting as you walk up a hill makes the hill go quicker. – A cheer and a high-five from a schoolboy in a wheelchair is worth more than a medal. – Pain eventually goes away. – Bennetts bum cream is not only amazing for you, but to prevent chafing too. – The Twitter community can be exceptionally supportive and open-armed. 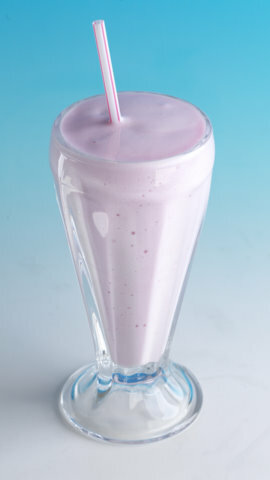 – A milkshake after the race aids recovery. And is guilt free. Especially the point about the high five from a child in a wheelchair being worth more than a medal. Have I mentioned I think you’re a total rock star??? I was hoping for some 20 day programme. Like “Train your way to the comrades in 20 days without getting up before the crack of dawn” or “A blood sweat and tear-free comrades in just 20 days” something of sorts, any sagely advice? No? One day when I’m all grown up…ppfffttt…who am I kidding!? Very impressed with your acheivement. The only starting point is the desire to do it. That’s the only difference between me and you. I love the training and what it and Comrades do for me – that’s the underlying dynamic, I guess?!? One day when the desire hits me at 3am I’ll be sure to come knock on your door for some tips. Would make a great article though, a mom’s guide to running the comrades. Would inspire us wannabes to at least get our behinds in gym 3 x p/w. Congrats to you – and as much as I admire you, I have no desire to do this. To climb Kili one day, yes, to walk to Machu Pichu, yes, but not the Comrades or the Midmar Mile.